A rug can make a huge difference in a room. If you compare a room that has rugs and one that does not, you will realize that the one without rugs is dull and uninviting. You can delve from the ordinary rug shapes such as square or rectangular and rather use a round area rug. You can transform your office space from dull to something lively and colorful by throwing in one or two round rugs. You do not have to confine yourself to boring colors of the workplace. Make your space look fascinating with a little décor. A round rug does wonders. Imagine a dining table set with small round area rugs of different colors below each dining chair! Unbelievably, every visitor to your house will want to know how you arranged such great décor. Round area rugs could make such a great addition to your dining room and every mealtime will be an experience to cherish. If you want to keep your children happy and contented, use small round rugs to decorate their rooms. 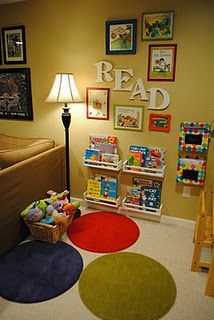 Children would be very excited to have small rugs, that they can re-arrange as often as they please. It is time you get rid of those boring carpet rugs in the car. To add some glamor, use a round area rug of a nice color that matches the interior décor of the car. Think outside the box and make your driving experience enjoyable and one that you always look forward to every day. Are you tired of the long square hallway rug that you have had for years? Well, the round area rug is here to your rescue. You can simply line up three or four round area rugs along your hallway and still create the desired effect. The bathroom is one of the most fundamental rooms in the home. As you do your interior décor to the other rooms, make sure that you also do something in the bathroom. Round rugs will make it look amazing and inviting. You can place the rugs in front of the shower, sink, and toilet. Putting round rugs on your patio, especially if you are holding a party there, is a perfect idea. It can make the place comfortable especially for those guests who opt to step on the patio barefoot. It is amazing to have something to step on other than the bare wood. Rugs are not limited to floor decorations only. Think beyond the ordinary decor. Get some round rugs and hang them on your wall. You will be amazed at how beautiful your house will look. A round rug at the entrance of the house is a good way to welcome visitors to your home. The first impression counts and nothing would make guests feel at home than a nicely placed round rug at the entrance. There are many ways you can use your round rug and make a beautiful décor for your home or work area. Do not limit yourself.